Thanks to MakeUseOf.com and Long Zheng of I Started Something, you can now set your Windows 7 desktop wallpaper to a live-updating theme featuring background images from the new search engine Bing.com. 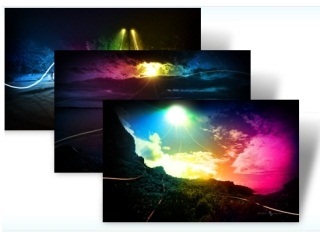 Because Windows 7 supports RSS-powered themes, you have the ability to create and use themes whose content comes from feeds - like that of Zheng's Bing Image Archive, where images from the various localized versions of Bing are archived daily. When Make Use Of blogger Mahendra Palsule asked Zheng to make the Bing Image Archive’s RSS feed work with Windows 7 desktop slideshows, Zheng was happy to oblige. Now all you have to do is create the theme file yourself using the info below. 3. Activate the theme. Double-click on the Bing.theme file to launch it. In the Subscribe to RSS Feed? prompt, click Download Attachments. 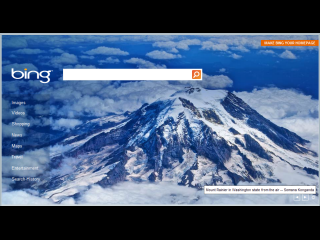 After following the three above steps, you’ll now see the Bing theme appear on your screen. It will also be stored in the “My Themes” section of your personalization options. If for some reason the theme isn’t working, check the blog post for troubleshooting options. Otherwise, enjoy! Thanks so much. I had made a suggestion to the Bing and Windows Live teams to do something just like this. 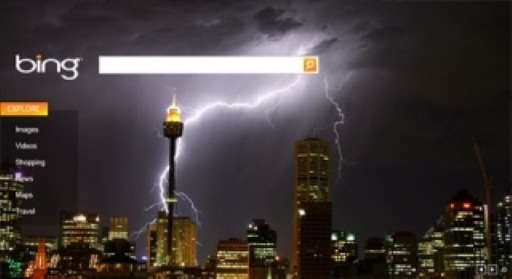 I think it's a shame the Bing team themselves haven't done something themselves- all they need to do is add a Bing logo in the bottom corner and they'd get free advertising in any store or visible screen around.